An applicant for any civil service position must be a citizen of the United States who can read and write the English language (RCW 41.14.100). All candidates will be subject to a thorough screening process including background interview, criminal history, credit check, and polygraph test. Applicants for some positions are subject to a physical agility test and psychological evaluation. 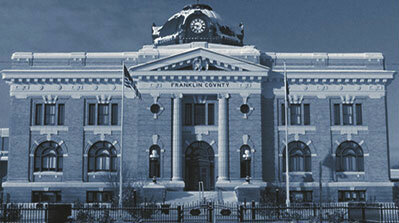 Franklin county contracts with Public Safety Testing to facilitate the application and testing process for all entry level deputy sheriff and corrections deputy applicants. Please visit the Public Safety Testing website at www.publicsafetytesting.com or call 1-866-447-3911 to apply or obtain more information if you are interested in one of these positions. For Lateral Deputy Sheriff, and Lateral Corrections Deputy applicants please review the Franklin County Civil Service Rules to determine eligibility for lateral entry. If eligible, please download and complete a Personal History Statement (PHS) and submit to Human Resources. Franklin County awards Veterans’ Scoring Criteria, in accordance with state law, to veterans honorably released from active military service who meet all statutory requirements. Applicants who are claiming Veterans’ Scoring Criteria will be required to submit the appropriate documentation as required by state law.